Im curious as to how other people organize their music files with regards to the scanning of the box art, etc. 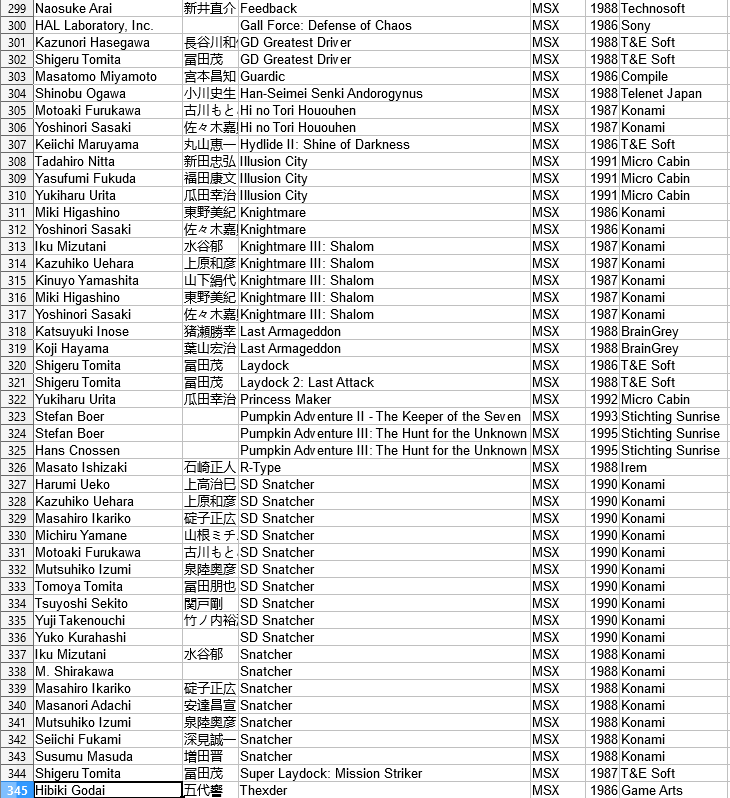 Do you save everything into a subfolder, keep in the same folder as the music, give them filenames that define what it is an image of (ie: Booklet Page 01-02) and lastly do you combine the booklet files together either in a cbz/cbr file or make them into a PDF so you can read it like a book? It gets the job done for now. I should have listed developers rather than publishers. My biggest blunder though is a failure to consistently distinguish between game rips from official soundtracks. 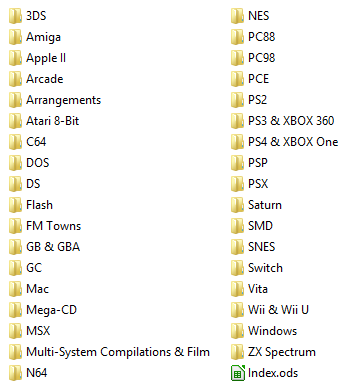 An obvious meh shown above is SCC Memorial Series Joint Disk being split into two folders for the games it represents. If I were adding it today, I wouldn't have divided it, but it's going to be a lot of work to go through and modify entries like that. I'll sometimes modernize my more antiquated sorting methods as I run into them, but I haven't systematically revamped it all in ages. It takes a lot of time, especially when ID3 tags come into the picture. Why do I have Gameboy and Gameboy Advance sorted together when they sound radically different? I probably only had one or two entries for each when I first created that folder. A lot of things like that need to be updated some day. It also gets wonky the closer it comes to modernity. With modern titles routinely being released across 4 platforms with identical audio, which folder they get dumped in can feel really arbitrary. If I was going to collect scans, I think I would ideally want them to appear in the same folder as individual images named by page number. But I'm sure when you delve deep enough into that you run into non-conforming media. It would be a trial and error process. I definitely wouldn't compress them into a PDF--Or at least, if I did, I would still save the individual image files as well. Holy smokes! Thanks for sharing! You do a lot more detail than I do...I've been trying to fix the filenames and tags using MP3Tag, adding covers to the MP3s for each "album"...mostly rips of arcade and console games. Easy to do a cover for console games, either crop it so the dimensions match or change the canvas size and make the blank parts black. Other than that, i just name them as the game. I have a handful of studio albums and decided to "complete" them by getting all the album art, though in some cases it seems next to impossible. I tested Actraiser Symphonic Suite by putting the booklet into a cbz file so it reads in the Comic Book viewer program but the naming convention allows for it to be read in order anyway. Im relieved im not the only one putting them into a spreadsheet. I actually had all my music backed up onto an external drive and was extracting directly onto the drive when it coughed and maybe died. Havent been able to access it...spent about 2 weeks regathering the music i lost but on the upside i think i got some more complete albums out of the frustration. Since many of the studio albums feature "arrange" or orchestral tracks, i separate studio albums from rips and just list the system they belong to. Didnt think about putting in the game companies....i might have to add that. BTW whats your column B in your sample in kanji? Is it the japanese titles to the soundtracks? Music is stored in an archive. The archive opens only to Primary Folders. Primary Folders open to Music Folders and Project Folders. Project Folders open only to Music Folders. Music Folders contain Music Files and a cover image that is always titled Folder. Some Music Folders have an additional subfolder called Artwork. Artwork contains all additional files, including additional images, booklet files, track lists, lyrics, videos, etc. Each Music Folder has the music for a single disc. Multi-disc albums also include the Disc Number, and Disc Name if there is one. Associated Music Folders are combined in Project Folders. Multiple discs of the same album, multiple albums in a numbered series, multiple versions of the same album, multiple albums for the same Project (ie, film, series, game, etc. ), as well as any sequels or prequels, but not reboots or remakes. Project Folders do not nest. Project Folders have the simplest name that defines their contents. Project Folders and unassociated Music Folders sort alphabetically into Primary Folders. Once a Project Folder has more than forty Music Folders, it is upgraded in both status and location to a Primary Folder. Its Music Folder than inevitably sort into new Project Folders. Once a Primary Folder opens to more than forty Music and Project Folders it is split into two approximately equal folders, at the simplest definition. Track Numbers are derived from the Track Name listed in the metadata. Files in Artwork Folders also have their file names standardized, based on what they are, but not what they are from. Cover images and potential sources of cover images also include their pixel size in the name. I use to have much more complex means of sorting music, based on genre, and franchises, and composers. It was complicated and messy and constantly filled with exceptions. this approach has proven much, much easier to manage. VERY IMPORTANT NOTE: Even more important than how I sort my music, is that I maintain a separate Music Database in an Excel spreadsheet. Five spreadhseets, actually. Most of the metadata that would typically be included in the files are kept there. There's more to it than this, but this gives a good overview. Last edited by JonC; 04-14-2019 at 10:58 PM. That's the artist name! I've been using last.fm for good lord, 16 years now, and it auto-renames more popular artists like Uematsu but doesn't recognize the majority of them, so I got in the habit of tagging them that way for consistency. I think it looks nicer and feels more authentic anyway. I put the Romanized name in the Comment field. I also usually rename each track title to [game]: [title], which I really hate doing, but it's the only way to get last.fm to distinguish between a dozen different songs called "Battle", "Opening Theme", etc. It's easily reversible with the tagging software I use, if I ever choose to do that. If the artist had worked on multiple versions of that soundtrack, I'd have also specified ([system]) after the game, but in this case Kazuo Sawa only worked on the SNES port to the best of my knowledge. 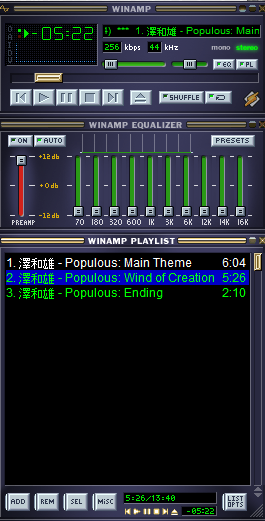 I was thinking of going back to using Sonique so dont feel bad about Winamp. Ive had multiple times where Media Player would give some weird server error and im wondering if that may have had something to do with my drive failure. I've finally managed to update all the covers/art for studio albums. I think there's maybe one or two where im missing some decent size images (like the rear of Elemental Gearbolt OST and Drama). 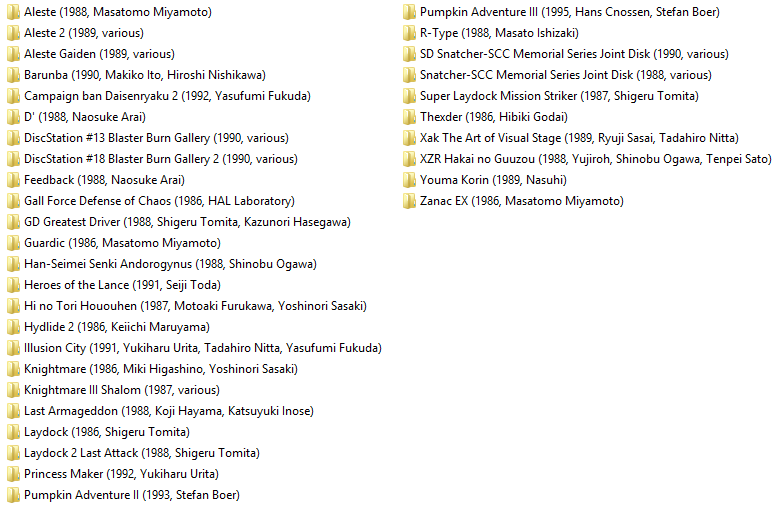 But i didnt realize there's so many reprints and bootlegs, which makes saving the scans much more complex. All the rips i named (in the Genre column) Video Game and all the studio albums are Video Game Soundtracks (to differentiate them). Curious though, maybe you can answer this, why are some people obsessed with Lossless albums? I mean is there really a noticable difference between a FLAC, OGG or MP3 version of a song? I converted some OGGS and FLACS to MP3 and didn't notice anything different.